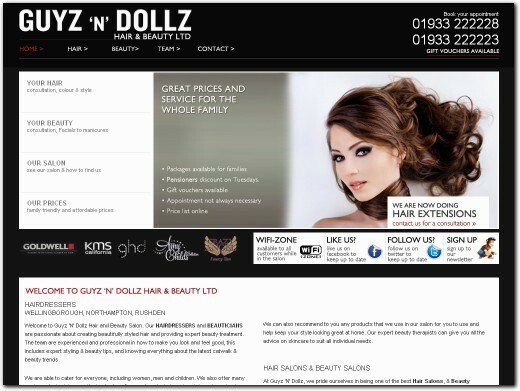 Guyz 'N' Dollz can offer a variety of hair and beauty treatments for men and women in the Northampton area. Providing hair styling, manicures and more. UK (Wellingborough) based company providing hair and beauty treatments for men and women. Website includes details of services provided, detailed "meet the team" page, pricing, full company contact details.